Drive along the Seventy-Five Mile beach at speeds of up to 80km/h. Here James Cook went on his first South Pacific voyage from 1768 to 1771 with his ship. 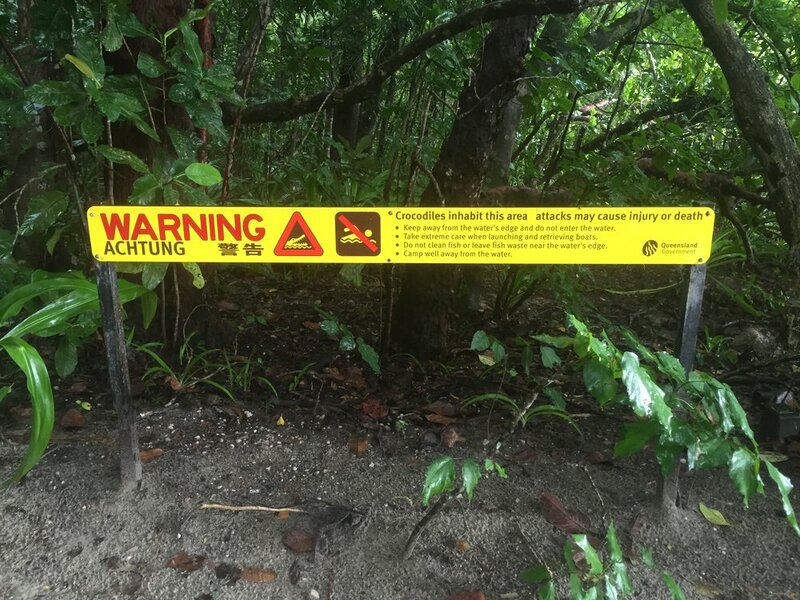 Crocodiles are not uncommon in north Queensland so warning signs should be taken seriously. If you have a keen eye, you can spot the little duckbill in Eungella National Park. This blue, peaceful giant fish can be found in the Great Barrier Reef and in the Whitsunday Islands. Sugarcane is grown throughout Queensland and visually resembles corn. These carriages carry sugar cane to the next factory. Tip: Download these maps of Queensland to your smartphone as image. You can always use them offline. Discover Queensland and its beauty of the Great Barrier Reef, the endless beaches of the Gold Coast, the green rainforests, and its amazing waterfalls. This city isn't just famed for its natural wealth; by spending a little time in Queensland Australia, you will certainly enrich your life. From the year-round sunshine to first-class shopping, food, and a culture that goes back to thousands of years. Whether you want to swim with the whales in the Gold Coast Queensland or just lie back and soak up the sun, there is so much to do and experience in all the Queensland cities. Queensland's capital lies in the middle of the Brisbane River and is well known for its tropical weather and relaxed lifestyle. In Brisbane Australia, there are lots of good restaurants, shops and cultural offer. We especially enjoyed the place around South Banks. There are some great cafes, restaurants, and an artificially created beach lagoon for swimming and relaxing. Also recommended is a boat tour along the Brisbane River. Will you also be traveling the distance between Sydney and Brisbane? Then you will find an article with great photos, video and map right here. You will find a detailed article with many tips, maps, videos and great photos soon here. A highlight in Hervey Bay is the possibility to swim with Humpback Whales. Locals definitely advise against it, because it is extremely dangerous and no one knows what a whale will do next. You would probably have less chance of getting crushed under a jumping whale. For those who still seek adventure, this is a rare and unique opportunity. Hervey Bay is one of the best places to see humpback whales regardless of the swimming opportunity and is therefore often called "Australia's Whale Watching Capital". Hervey Bay is also home to the southernmost edge of the Outer Great Barrier Reef. The water here is colder than at Cairns and that's why the reef and marine life look different here. The highligtht of Bundaberg is undoubtedly the hatching turtles in Mon Repos. Unfortunately, you can experience this natural spectacle only at the right time of the year and that is annually from November to March. For all the lucky ones on the East Coast at this time of the year, this is certainly a unique experience. Rum lovers can visit Bundaberg's rum distillery, where the sugar, which is cultivated all along the coast from Grafton to Mossman, is turned into rum. The twin coastal towns of 1770 and Agnes Water are beautiful bays with great beaches, viewpoints and turquoise waters. Originally the place was called Round Hill in 1770, but was renamed to commemorate James Cook on its 200th anniversary occasion. James Cook landed in Australia for the second time in April 1770. This event is still marked on the calendar. From 1770 boat trips can be taken to the Outer Great Barrier Reef, Lady-Mutgrave Island, as well as tours to the Bustard Head Lighthouse. If you have time, you can make a detour to this limestone cave. It is a good idea to visit the cave if, for example, you spend the night before at the camp site. The cave consists of limestone, which at that time originated from the corals. In the cave there is a small cathedral, where you can even get married. During a guided tour, both the cave as well as the cathedral can be visited. In the cathedral, it is shown what kinds of dangers were encountered when the cave was discovered: darkness. There is total darkness in the cathedral as there is no artificial lighting and only candlelight is used, which can lead to disorientation and hallucinations - impossible to ever find out again. The people who are the tour guides in the cave demonstrate this darkness in combination with a small musical performance as the special aspect of the cathedral is its unique, natural acoustics. This is why there are even opera events in the cathedral, which unfortunately rarely take place. Dates are published on the official website of the cave tour operator. The Eungella National Park is the best spot to watch Platypus. We visited some spots on the east coast to find the small platypus, the Broken River in the Eungella National Park was by far the best place for this. Platypuses, like Kangaroos, are mainly active at sunrise and sunset, but during the daytime, there is less chance of finding them. Since a Platypus is much smaller than expected, you should not forget your camera for a good photo. Sugarcane is grown in almost the entire east coast of Australia and it visually resembles corn. There are many sugar cane factories around Mackay and some tour operators offer the chance for you to learn how sugar cane is actually turned into sugar in Farleigh. For those who do not have much time, we created a small video during our visit that shows the whole process. It is here that all the Kangaroo lovers get their money's worth. At Cape Hillsborough, kangaroos come directly to the beach at sunrise to search for seagrass. Kangaroos are generally active at sunrise and sunset, sleep during the day and are usually lazy. Along the east coast, there are lots of interesting islands, but you probably won't have time to visit them all. 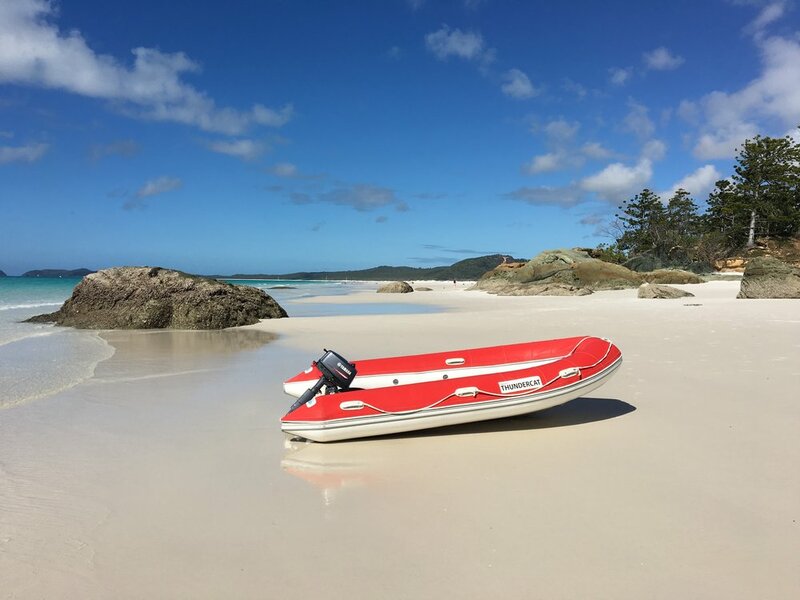 One must-visit destination is the Whitsunday Islands and Fraser Island. Also worth visiting are Magnetic Island, Hinchinbrook Island, and Great Keppel Island. You will find a detailed article with many tips about sailing with maps, videos and great photos here. Mission Beach is only about 2 hours drive from Cairns and is a small place which has remained very down to earth. The locals like to describe this as a great place for families; Cairns and Port Douglas, on the other hand, are more like "Cafe Latté" or "more boutiquee". Mission Beach has a local tour provider that can take you on a snorkelling and / or diving trip in the Great Barrier Reef within 1.5 hours. The tour is well worth it because firstly, the boats are occupied with significantly fewer people so you won't feel like a sardine amongst loads of people. In addition, a reef approaching from Cairns or Port Douglas is very small indeed. There are several other local offers such as a crocodile tour on the local river. This starts in the late afternoon and goes on until the sunset or evening, as the crocodiles are mainly active in the dark. A small snack on the beach including drinks is also provided. Overall, Mission Beach is very lovingly run by the locals and you will feel welcome here. Cairns, with its 160,000 inhabitants, is one of the larger cities in Australia. Cairns is right on the stunning coral lake in Tropical North of Queensland. In addition to the tropical warm ocean, the beautiful Great Barrier Reef, miles of sandy beaches and mountain landscapes, you will get inspired by the ancient rainforests, the many waterfalls and the exotic wildlife. Cairns is often referred to as Australia's Dive Capital. This is due to the fact that the Great Barrier Reef is not too far away and within 45 minutes you can reach the outer reef that's some 50 kilometres away. The tours to the reef start here, however, they are very touristy and the boats are stuffed with several hundreds of people. Tip: drive north towards Port Douglas, the tours will be less crowded there. 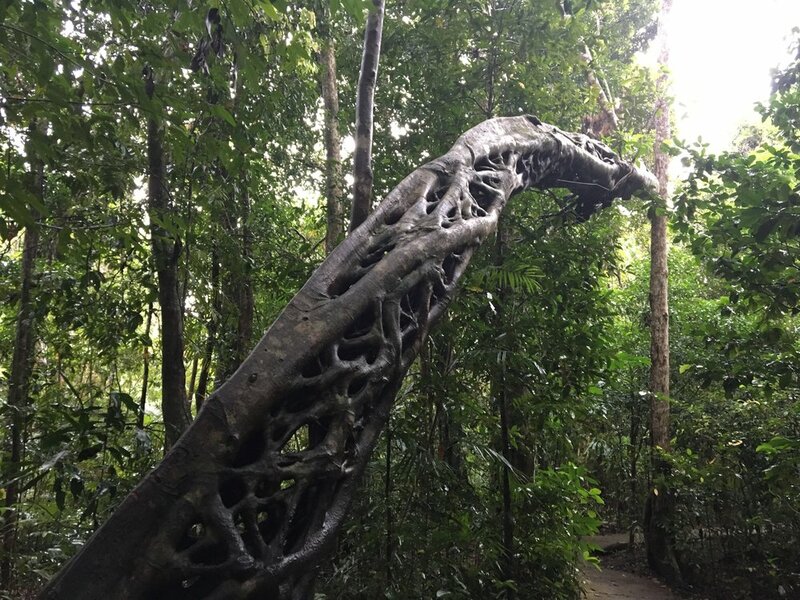 In addition, Cairns is also an ideal base for exploring Daintree Rainforest (see below), the versatile Atherton Tablelands and the exciting Cape York Peninsula. In addition to a variety of leisure activities, countless nightclubs, bars and restaurants, Cairns also has a diverse cultural programme that ranges from exhibitions and museums to annual festivals. The main activities in Cairns include snorkeling and diving as well as water sports. The Reef Fleet Terminal at the northeast end of Spence Street in Cairns is often used as a meeting point to start the diving and snorkeling adventure from the marina. In terms of day trips, the departure times are usually in the morning, for tours including accommodation, the time will be a little later. 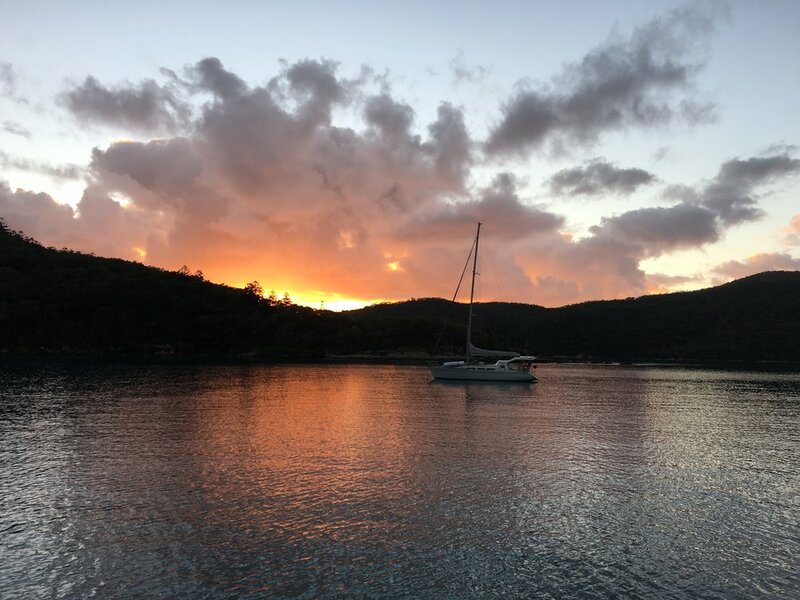 The enormous offer of diving courses as well as the proximity to one of the most popular diving stations, the Cod-Hole at Lizard Island offer all diving fans optimal conditions. One of the top highlights in Cairns is a refreshing dip in the beautiful saltwater lagoon, a breakfast on the colourful Rusty's Market, a stroll through the shady Botanic Garden or a visit to one of the Esplanade's grill restaurants. More information about the Great Barrier Reef can be found here. Several tours to the Great Barrier Reef also start from Port Douglas. Some are less touristy and crowded than the tours that start in Cairns. This is why we recommend that you visit the reef from Port Douglas, but do so with caution, because some tour operators take up to 400-600 people on a tour. You will not want to sit on a boat with 600 (!) people, let alone snorkel through the reef. Worse still, these 600-people tours visit the same reef spots 365 days a year. It is easy to imagine how the reef becomes affected! This 600-man tour is offered by QuickSilver, so stay away from QuickSilver tours. We have had good experiences with Calypso (65-85 persons per boat) and Wavelength (45 persons per boat). Wavelength is a distinction between "experienced and inexperienced Snorkelers", with a boat that takes fewer experienced snorkelers. We recommend this tour if you are an experienced snorkeler, because firstly, you get to go on a less busy boat and secondly, there is not really much to do while snorkeling. Put your glasses on and go! If water gets in your glasses: Use 2 fingers to press on the upper nasal bone, tilt the head slightly backwards and then exhale vigorously through the nose. If that does not work, carefully lift the glasses, but do not tear down the mask. Snorkel slowly! Fish hide in the reef and will only come out again if you stay calm. If you swim too fast, you will scare away the fish. When looking at a side-by-side approach, threats will always approach from behind, therefore swim sideways, which is especially important for turtles. The weather condition is important. Optimal sun and little wind are good for visibility but in principle, snorkelling can be done in any weather condition. Optional underwater camera (e.g. GoPro) plus red filter for the underwater cameras. When you are under the water, there is no red colour and lots of blue instead; so with a red filter, the pictures will be much clearer. Spray your glasses once with baby shampoo and rinse with clean water, so they get less misty (they can usually be found on board). Rinse the glasses once for a "round of snorkeling”, then spray again. At the Great Barrier Reef, snorkeling is almost better than scuba diving, as corals do not grow below 10 metres anyway because of too little light. For Wavelength, these tips are explained by a good-humoured team (although you're on the "experienced boat"). The Calypso tour was a little less personal, but the Wavelength is by no means inferior. Both operators are also giving talks on the boat trip about the Great Barrier Reef. These talks are very interesting, because you will not only find out about the different reef species and fish there but also the eco system is explained and why the reef is endangered. From Port Douglas you should not miss a tour of the Daintree Rainforest, as well as Cape Tribulation. There are also tours offered from Cairns, but the route is a bit longer. There are some tour providers who offer a guided tour and these are worthwhile, because the local guides are very knowledgeable. Of course you can also make your own way there, but our recommendation is to still participate in a tour. Why? Firstly, you will learn a lot, all the highlights are covered as well as local specialties such as the tropical ice cream. In addition, the groups are - in contrast to the Great Barrier Reef Tours - relatively small and very personal. A great opportunity to drive around comfortably, to see everything and to meet some nice people. Mossman Gorge belongs to the southern part of the Daintree Rainforest and has been made accessible to visitors via tours. You can either take a short 400m long path with a view over the Mossman River or continue on a 2.7km loop through the rainforest. The Daintree Rainforest has been a World Heritage Site since 1988 and is the last surviving part of the oldest rainforest in the world. More than 30,000 different plants and animals can be found on more than 120,000 hectares of rainforest. Many are convinced that Australia's plant and animal diversity is due to the more than 135 million year old rainforest and there will be no Great Barrier Reef without rainforest. 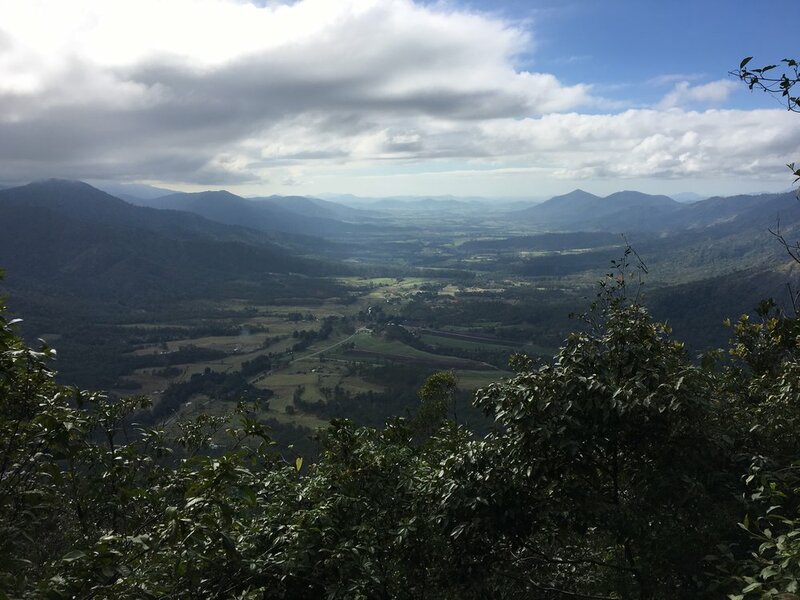 The Mount Alexandra vantage point offers a unique view of the Daintree River, coast, Shipwreck Bay, Black Rock, Snapper Island, Port Douglas, Low Isles, and Cape Kimberley. In good weather you can even see Double Island. A short break including a short walk on the beach with tea, coffee and snacks is often served at Thornton Beach. Cape Tribulation is a small town where two magnificent World Heritage sites come together: the Daintree Rainforest and the Great Barrier Reef. Cape Tribulation can be translated as "Cape of Tribulation." The name comes from the fact that James Cook ran aground on his first South Pacific voyage from 1768 to 1771 at this Cape with his ship. Today Cape Tribulation is a UNESCO World Heritage Wet Tropics of Queensland. Another highlight is that Cape Tribulation is the northernmost town in Queensland, which can still be explored with a four-wheel drive, then the trip continues only on dirt tracks. Once you arrive at the Cape, signs can be followed to a lookout point and after a few metres you will be rewarded with a fantastic view. Apparently one should see here how the reef and the rainforest meet, when we visited the Cape it was very humid and it was not possible to see far into the distance. Given the fact that we are in a rainforest and humidity is inevitable, I am afraid that this will often be the case. Nevertheless, the view is very nice and should not be compared. The beach is mainly populated with mangroves that are of grave importance to the eco-system. Among other things, mangroves provide a protected habitat for many species through their roots. This interactive "boardwalk" leads mainly through mangroves. The tour is 1km long and is accompanied by a sign that informs you about the eco-system and the mangroves. The Daintree Icecream Company should not be left out of your tour! Here, exotic ice creams from the local orchards are created. Varieties such as Black Sapote, Soursop, Wattle Seed and Jackfrui are offered, which you will certainly enjoy. Even if you don't exactly know what flavour you are actually eating, it tastes wonderful and unique all the same. Finally, it is on a Daintree River boat trip for the crocodile search and here you really do not have to look out for long. A crocodile is lurking on every corner and it becomes alarmingly clear that you really should stay away from the water. In contrast to the large supply of crocodile farms and zoos, you can see crocodiles in their natural habitat. In addition to the crocodiles, bird watchers will get their money's worth and good photos will be produced. Good to know: no booking in advance is necessary. 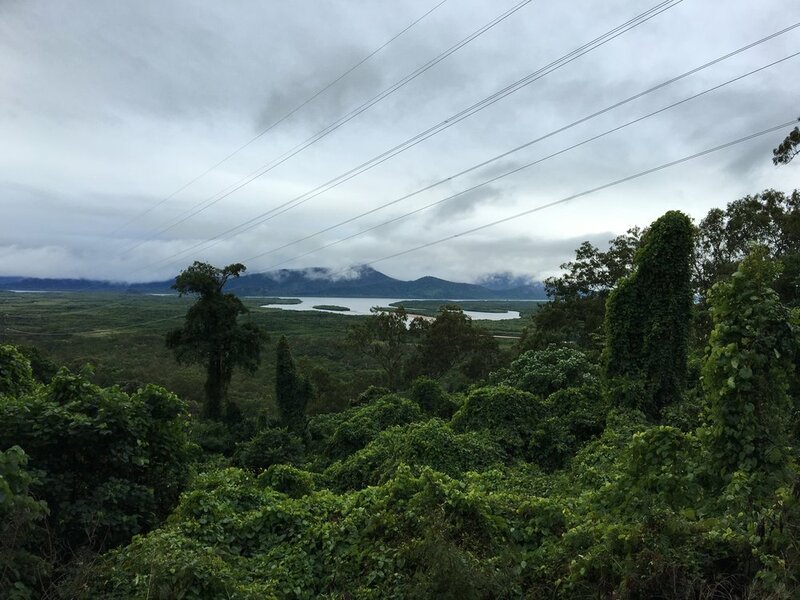 The Daintree Discovery Centre houses, among other things, a 23m tower (Canopy Tower) over the tops of the trees, giving a wonderful view of Daintree Rainforest. What is Queensland weather like? Queensland's summer starts from December and ends in February. The city experiences strong thunderstorms and has the highest rainfall during summer. Autumn starts from March and ends in May. This is when the hot summer temperatures drop to around 25°C as there is less humidity and rain. Winter is from June to August and the weather is usually dry and mild. Spring is from September to November and the average temperatures are between 15 and 25°C. What is the population of Queensland? Queensland is the 2nd largest and the third most populous state in Australia. It is located in the north-east and bordered by South Australia, the Northern Territory, and New South Wales to the west, south and south-west respectively.